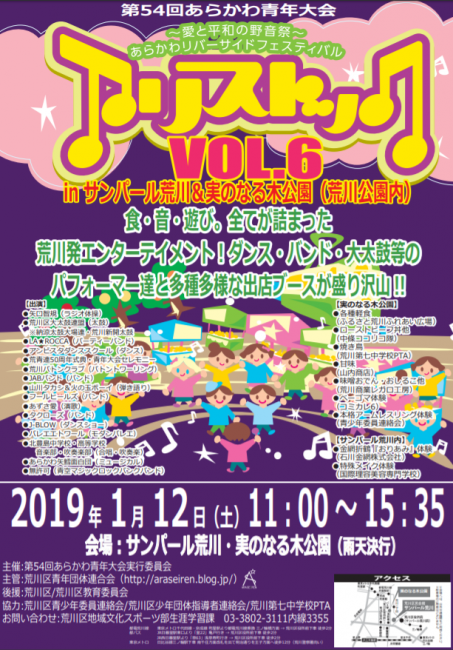 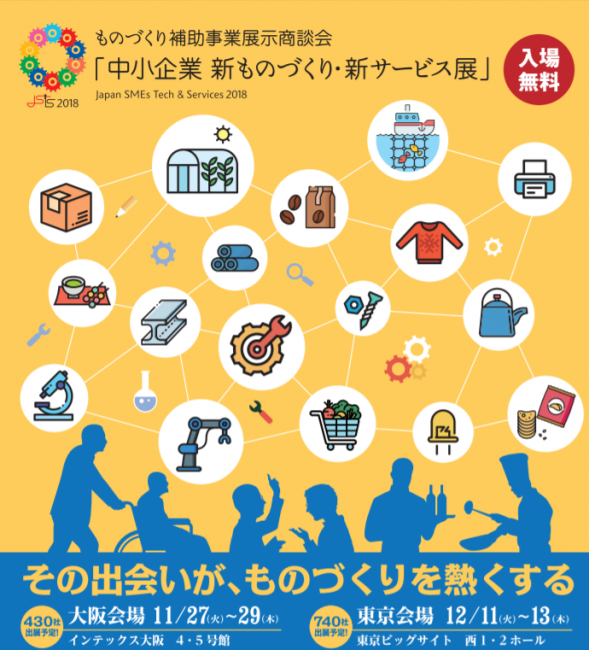 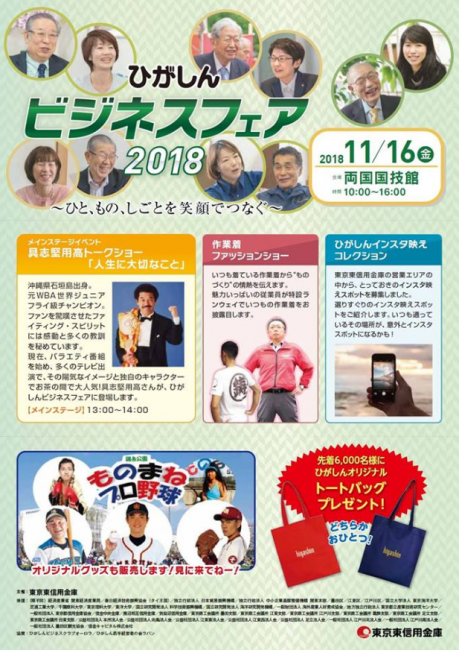 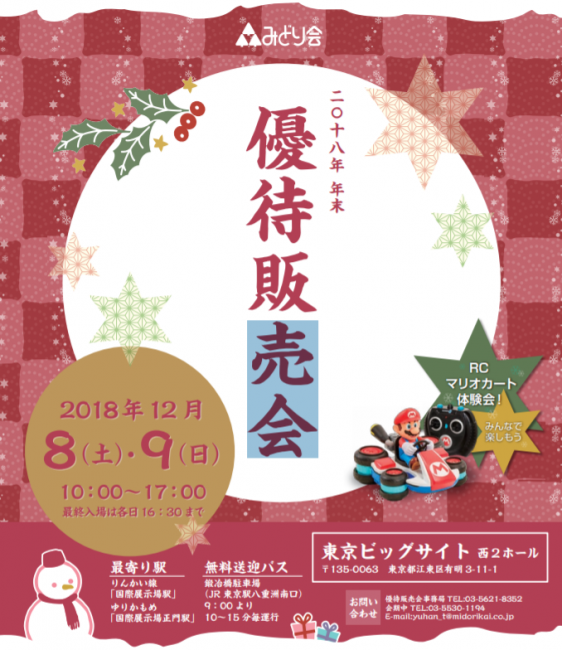 2019.01.09 January 12th (Sat) We will be exhibiting at "The 54th Arakawa Youth Tournament Arisutokku Vol. 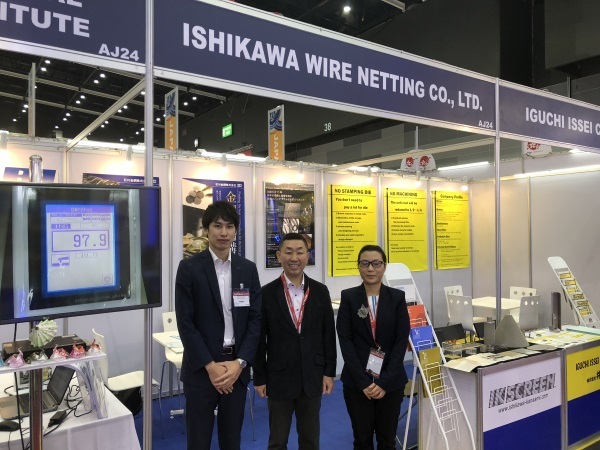 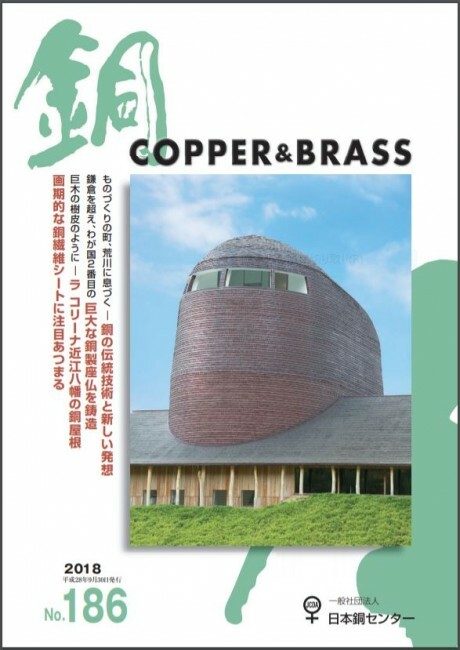 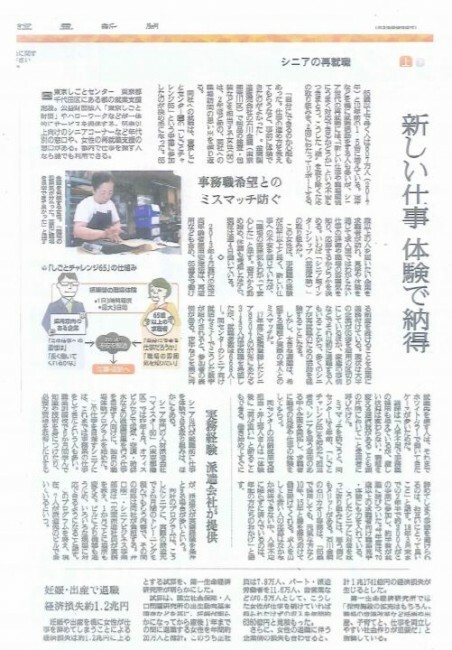 6"
2018.12.12 ISHIKAWA WIRE NETTING Co.,Ltd was introduced in the 186th issue of "Copper", a PR magazine by the Japan Copper Development Association. 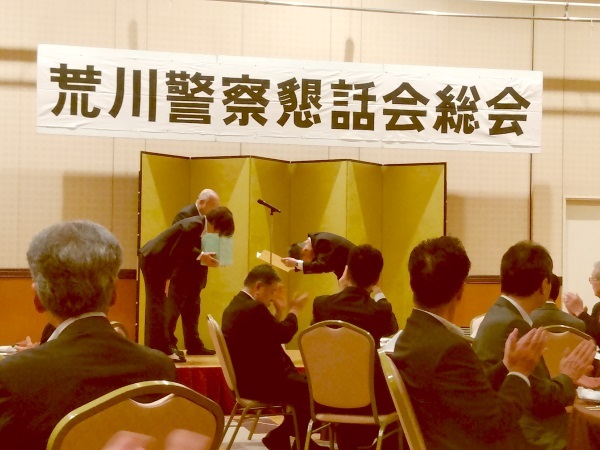 2018.12.07 Awarded a certificate of appreciation from the Arakawa Police Station Forum. 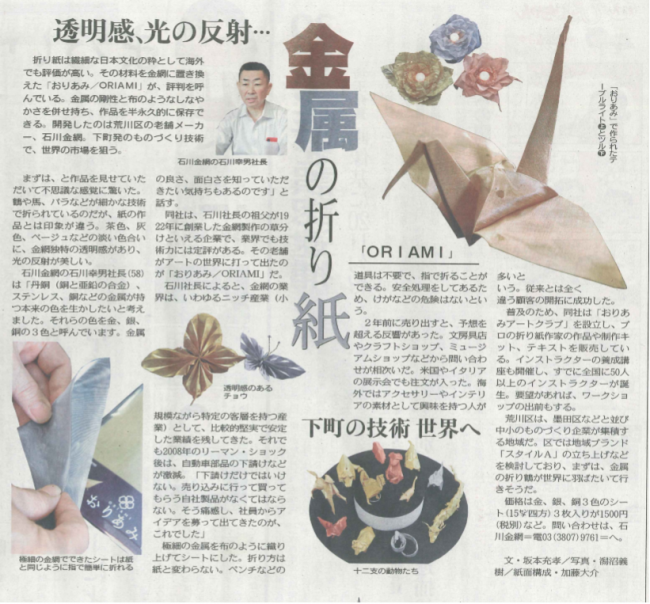 2018.11.14 December 8th (Sat), 9th (Sun) Sales Event & Workshop at Midori Kai "End of Year Exclusive Sale"
2018.11.02 Wire Mesh Origami [Fabric Metals ORIAMI] has been introduced in the Tokyo Shimbun.